Have you found an online vendor selling Plantation Royal Blend? 45% ABV. A blend of rums from Barbados, Trinidad, Jamaica, and Guyana. NAS. Maury cask finish. Very peculiar nose. I like it a lot. Rather varnish-y. (Hint of Caroni?) Subtle banana. Palate: his the tongue sweeter than expected. There's complexity and bite. Long finish. Excellent dram. If only it wasn't quite so sweet. 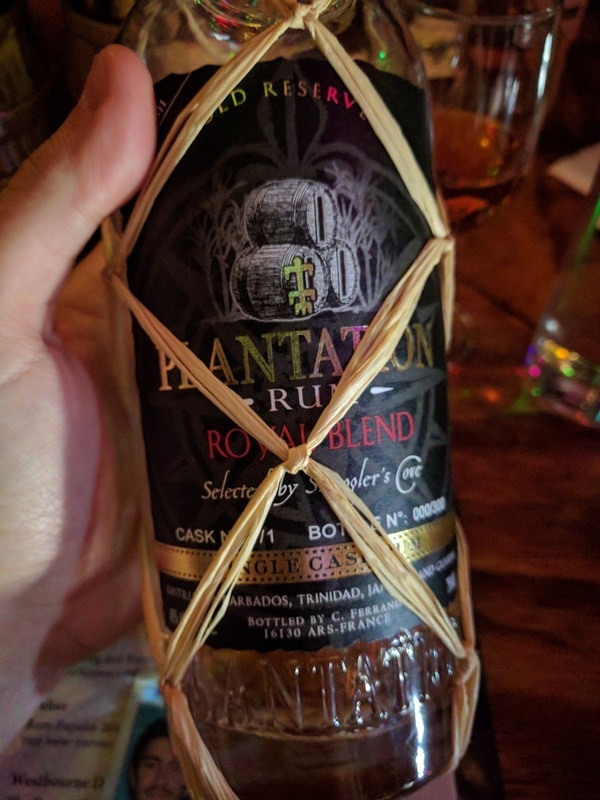 This rum was so layered with spice the nose came off as almost savory. The taste spoke true to it's blend of Trinidad/Guyana/Barbados. It had a little head that spoke to it's cask strength, but the heat quickly dissipated into different flavors of cinammon, chocolate, clove, molasses, and(let's be honest) unicorn tears.